Golden West College was honored with the 2018 “Best of HB” award by the Huntington Beach Chamber of Commerce. 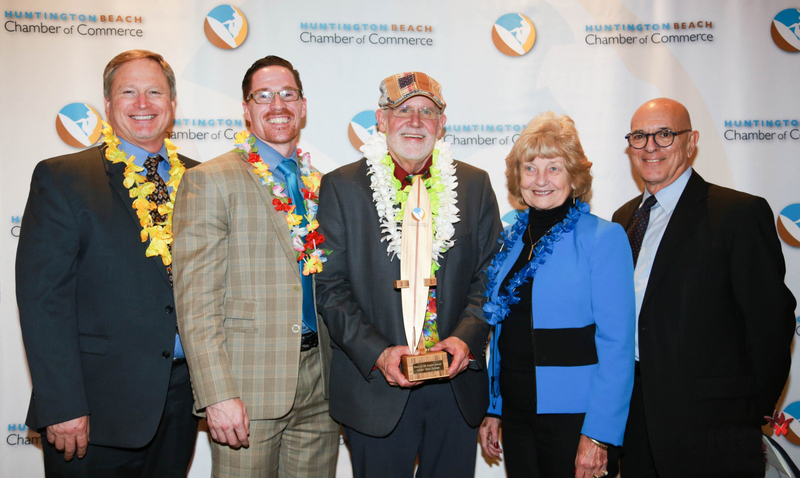 GWC President Wes Bryan thanked the chamber for the honor at its annual Best of HB Awards Dinner January 25 at The Venue by Three Petals in Huntington Beach. Joining Wes on stage to receive Golden West’s award was David Gatewood, Dean of Economic Workforce Development; Bruce Berman, Director, College Foundation and Community Relations; Greg Peterson, Acting Vice President, Instruction; and Bonnie Castrey, Foundation Board Member.